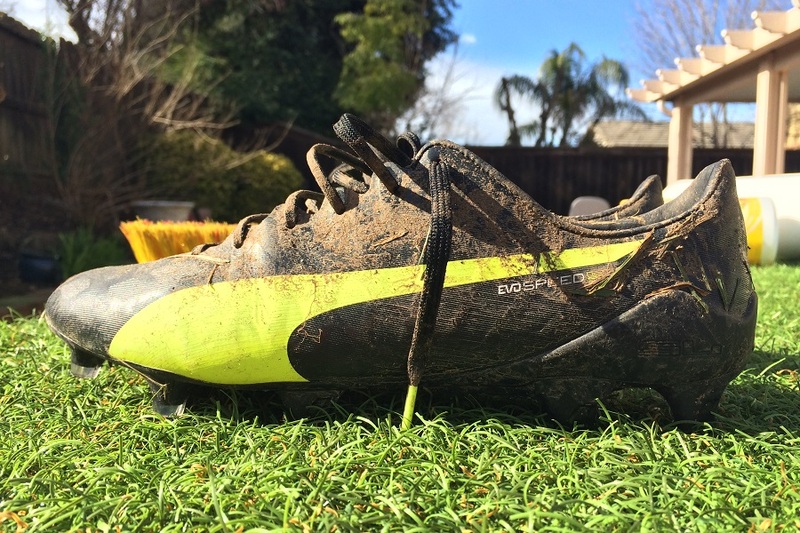 As we head into spring and pitches turn a little muddier, keeping your boots clean and free of dirt becomes even more important. If you intend to keep your pair through a full season, you need to ensure you are taking the correct steps to keep them in top shape. There is a strong need to respect your boots, hold them to a high standard and understand they need personal attention in order to provide an extended lifespan. 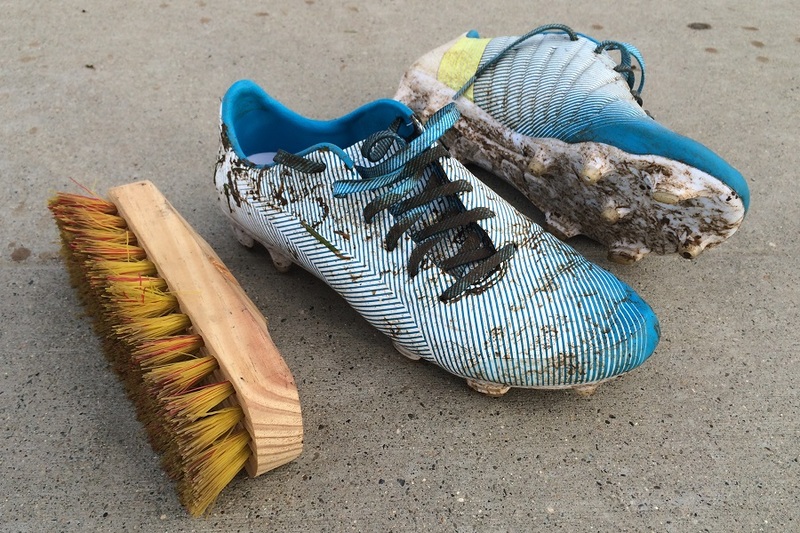 A few years back, we covered the question of Why clean your cleats? But there are certain “must have” tips that I wanted to share with you, in order to emphasize how some simple adjustments to your routine can make a HUGE difference! Start out with the video, then check below so you can get started on a new cleaning routine to take care of your new boots from first wear. You need to clean your boots from the very first time you wear them. I can’t point this one out enough. Realistically, you should be excited to clean your new boots – make it a habit right from the beginning. Clean them then leave them to dry in a shady indoor area, and I GUARANTEE you will get an extended life out of them. This might seem like a no brainer, but so many people end up leaving their boots in their bag after wear. Instead, find a dedicated spot where your boots will live in between training and games. Obviously, you want it to be a dry area and somewhere that family members won’t come running with complaints about a nasty smell. You also want no sun shining on your boots. From my experience, the ideal spot would be in a garage or storage space, pick a spot and dedicate it as a shrine to your boots! There are plenty of cleaning kits out there but most include products that are not as useful as they seem. You just need to keep it simple with a few key tools that shouldn’t cost very much – in fact you probably own some of them already. I doubt you will need to much help finding these three simple, yet key tools for cleaning your boots. For less than $20, you can get enough supplies to guide you through a full season and beyond as you take care of your new pair. Obviously, different boots are going to require different attention. For example, knit boots are currently all the rage and that complicates things. We have some future posts planned to cover those situations. But when it comes to Synthetic and Leather boots, these tips should see you through. If you’ve got any other tips you’d like to add, leave them in the comment section below! Great vid, especially to introduce younger players to the steps required for proper equipment care. One product I have used with great success is Johnsons baby shampoo. It will not dry out leather, rinses clean without residue, and does a good job on synthetics also. If you have kids, I would guess you already have some stashed somewhere. Also, make sure to pay attention to seams, stitching, and where the soleplate and upper come together. When dirt gets in there, and is allowed to stay, it will break down a boot faster than anything. Good tip – I'll have to try that out!